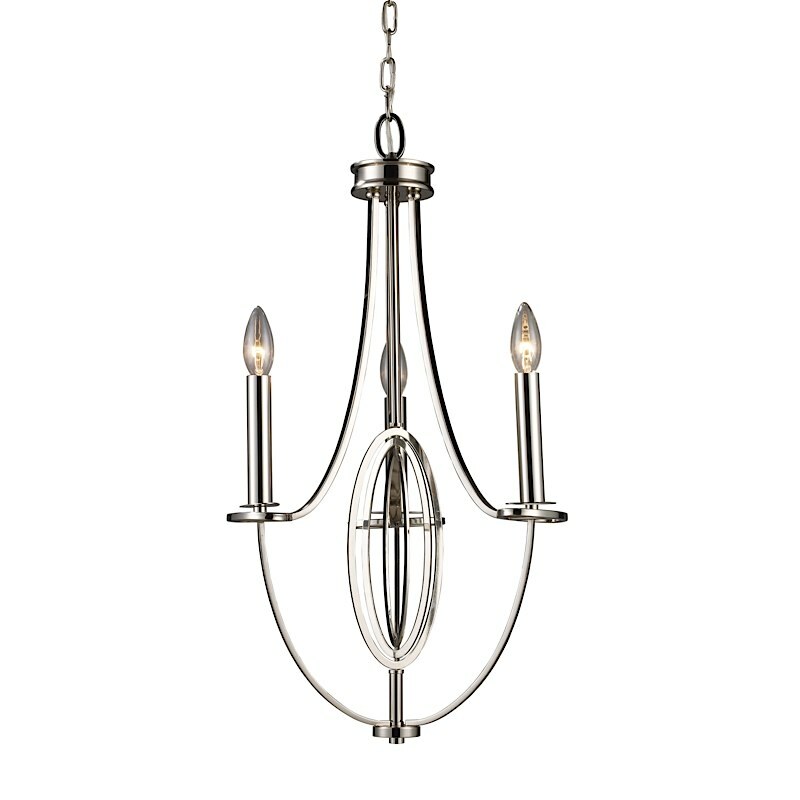 The Dione chandelier has clean lines and laser cut oval accents. It is a contemporary take on a more traditional iron lighting fixture. Place this in your modern or transitional home to bring a clean and polished look to your decor. 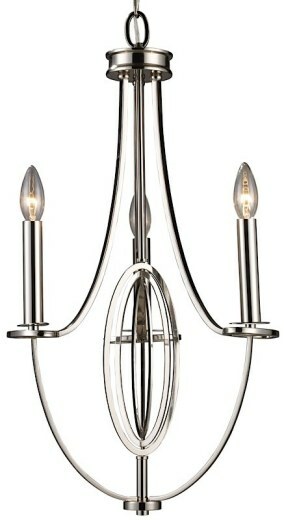 Uses 60W Candelabra Base bulbs. Available in three sizes and two finishes, polished nickel or oil rubbed bronze with brushed antique brass finish.